In our last episode, we featured Onyeka Akumah, CEO of Farmcrowdy, Nigeria’s first Digital Agriculture Platform, where he spoke about Being Investor Ready. 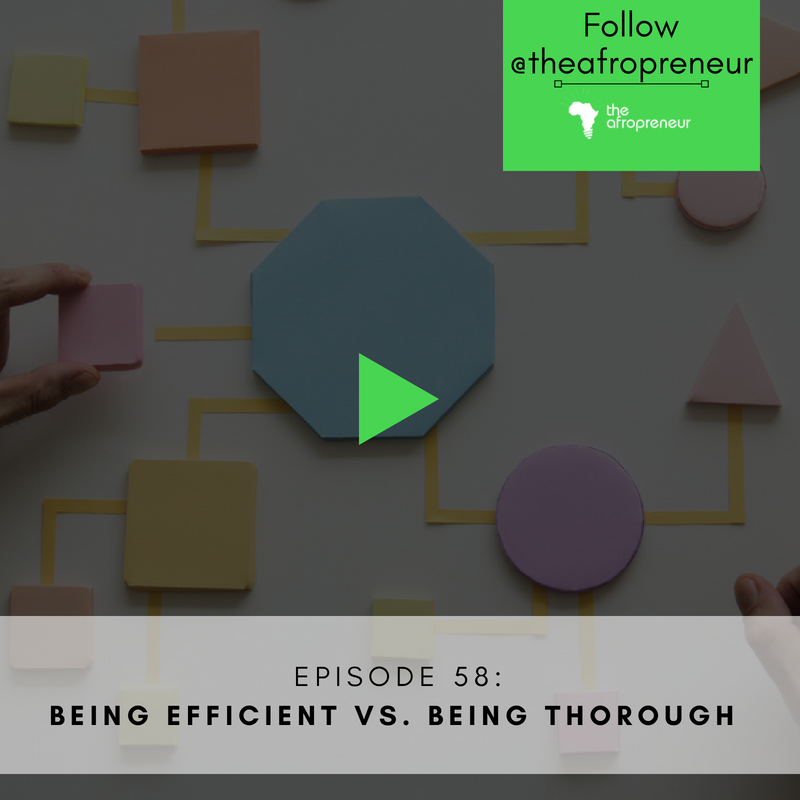 This week we are analyzing two amazing concepts and pitching them against each other – being efficient vs. being thorough. taking pains to do something carefully and completely. working in a well-organized and competent way. We discovered that there are people who are extremely meticulous and follow processes to the later and there are others who get the job done well and on time. Upon conversing with some entrepreneurs, we found out that while they appreciate their thorough team members, they lose out on other things in the process while the efficient team members get things done on time and fast. Which then is more important? Should we compromise quality for speed/resources or vice versa? Is it possible to be both?